Highway 101 follows mostly along the shore or on along the clifftops at the Pacific Ocean's edge. There is ample opportunity to take in the beaches, ocean, wildlife and fresh seafood. 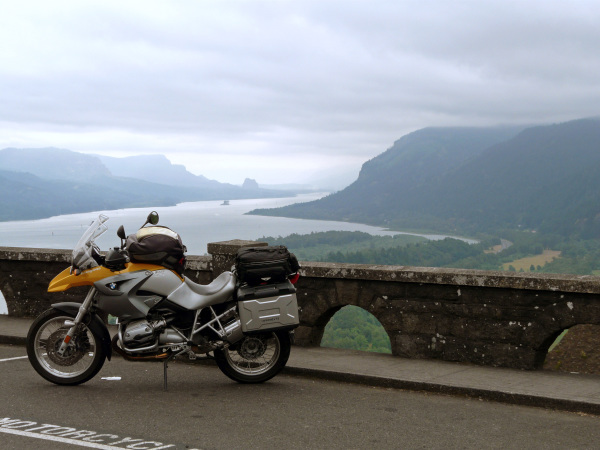 ​The roads less traveled are usually the best for motorcycling and we find many such roads on this tour. 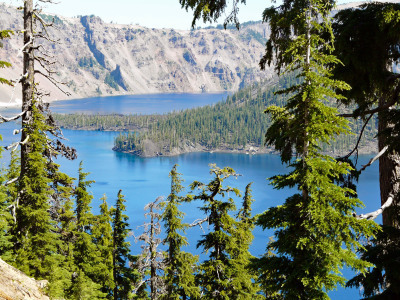 This most blue and beautiful lake is on many people's bucket list... and rightly so. It is the second deapest lake on the continent and affords spectacular scenery. 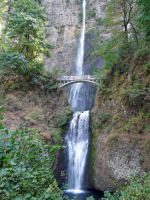 We will start and end in Portland, Oregon and explore the best roads in Oregon and Northern California. To start our volcano visits we first explore Mt. St. Helens. It's one not to be missed. It erupted catastrophically in 1980 leaving a huge scar and a mountain now 1,314' shorter in elevation. 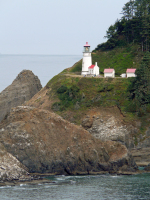 Then we attack the seaside along the Pacific Ocean negotiating most of the Oregon coastline and on into Northern California. 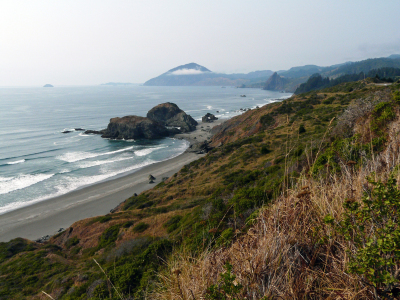 The Lost Coast gives adventuresome souls a chance to go somewhere few people explore. 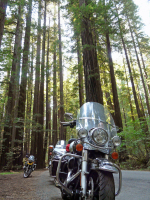 The mighty Redwoods - the tallest trees in the world - shadow the road as we travel along the Avenue of the Giants. 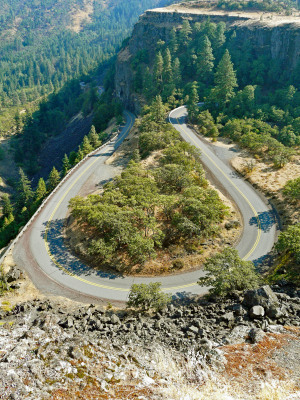 After traversing Northern California on one of the best motorcycle roads in the state, we start exploring the volcanic history of this region heading into the interior and the mountains. Who knew how much volcanoes shaped this land? 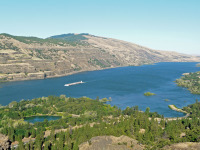 Before we return to Portland we venture into the beautiful Columbia River Gorge, known for Lewis & Clark, hydroelectricity, wine and wind surfing. Columbia Gorge from Vista House. The prominent rock in the center near the river is Beacon Rock, named by Lewis and Clark during their expedition. They traveled down the Columbia River to arrive at their final destination on the Pacific Ocean.